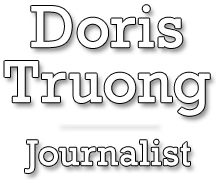 Doris Truong is a multimedia journalist. Since August 2018, she has been the director of training and diversity at the Poynter Institute. Before that, she was a homepage editor at The Washington Post, responsible for driving digital strategy on weekends. She previously was The Post’s deputy Metro copy chief for the Extras, shepherding a staff producing 13 weekly suburban sections. She helped edit The Post’s 2010 “Top Secret America” project and worked on the Jack Abramoff investigative reporting package that won the 2006 Pulitzer Prize. Before coming to The Post in 2003, she was a copy editor/slot on the universal desk of the Dallas Morning News. Doris is a longtime champion of media diversity. In 2014, Wayne State University bestowed its annual Spirit of Diversity Award on Doris, who co-chaired The Post’s newsroom Diversity Committee and served as vice president in 2013-14 for UNITY: Journalists for Diversity. She is a past national president of the Asian American Journalists Association. In 2013, she received the Robinson Prize from the American Copy Editors Society, recognizing substantial contributions to the craft of copy editing and excellence in overall editing skills. She is a Maynard Media Academy alumna, a former fellow of the American Society of News Editors’ Minority Leadership Institute and a graduate of AAJA’s Executive Leadership Program. She has been a faculty member at the Poynter Institute, has presented sessions for international convention audiences and has helped judge national journalism contests. Doris is a graduate of the Missouri School of Journalism and a native of Western Colorado. She is a Smithsonian-exhibited photographer. Away from the office, she keeps a suitcase packed for adventure, seeks out bacon-related foods and enjoys karaoke.